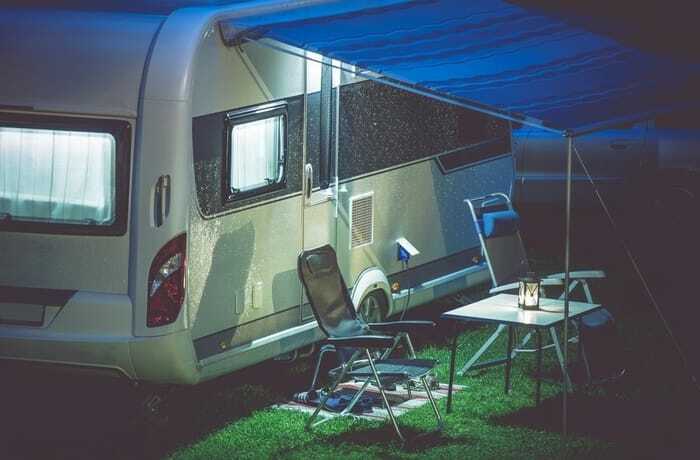 RV awnings are part of the small features that help you camp, especially when the campground does not have enough shade because it will make the experience more pleasant. 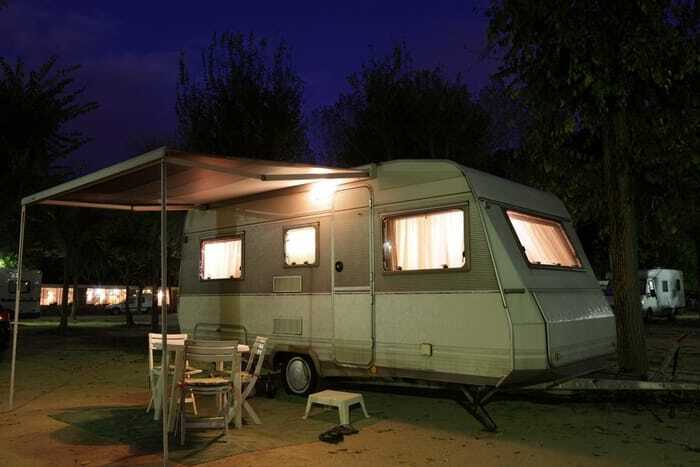 Since RV awnings are outside and they get exposed to all types of weather situations, they are prone to dirt and mold. If the RV awning is made of acrylic or vinyl, they are more prone to molds because of their porous property. Each person has his or her own idea of how they should clean an RV awning and you only have to find one that is appropriate for you. 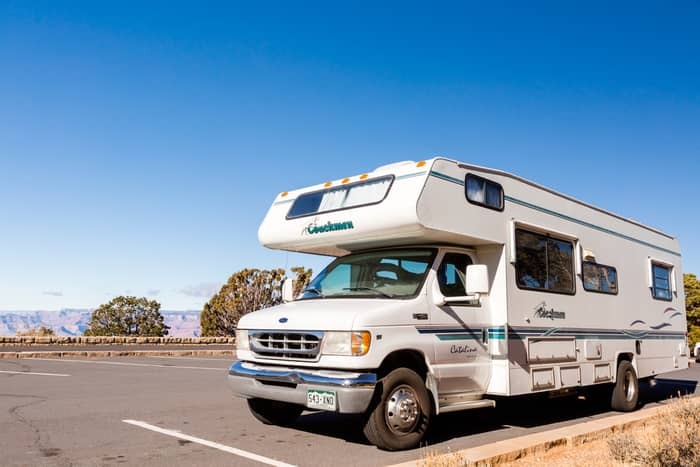 To better clean the RV awning, a lot of people say that the ideal way to clean an RV awning is to wrap a broom with a towel and use it to clean the underneath area of the awning. There are a lot of suggested ways on how to do it, but you will be given the best tips on how to do it as you read further. 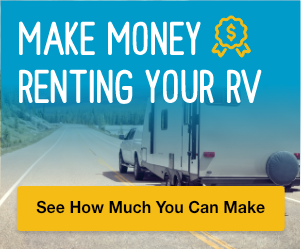 This is the main thing you need to know about maintaining your RV awning. They use 2 types of fabrics in RV awnings: acrylic and vinyl or both. Acrylic fabric allows air circulation through the fabric because it is woven so it dries quickly. Acrylic fabrics are able to repel water easily, but they are not waterproof. If you have done tent camping before, you are aware that touching the tent’s underside when it’s wet is a bad idea. This is going to allow the water to seep inside the fabric. This is applicable to an acrylic material. The vinyl fabric used in awnings is resistant to mildew, but it does not mean they will are resistant to mildew. Mildew can clump on the dirt and dust so it ends up collecting vinyl in the fabric. The mildew is going to be worse in temperatures that are high and if it is stored while it is still wet. Soak a towel in a solution that contains an RV cleaning solution. The solution can either be diluted or directly poured on the cloth. You need to make sure that you are wearing goggles while doing the working and cleaning of the awning. In case you observe that there is excessive straining, you might want to learn other methods on cleaning the RV’s awning. You can use a rag instead and soak it in the cleaning solution and then climb the ladder to use a little amount of elbow grease to clean the RV awning. If there are hard stains or mildew on the vinyl awning fabric, it is advisable to use a stronger cleaner. There are aftermarket commercial cleaners that are specifically for awning fabrics. A method that is effective is by spraying the inside and outside part of the awning with the right cleaner and then roll it up to allow it to stay there for several minutes. This scatters the cleaner on the whole surface of the awning fabric and gives the cleaner enough time to take effect. You can spread the awning fabric in order to be able to thoroughly rinse both sides to make sure that no dirt is left in it. You would have to scrub the hard stains using a brush on a vinyl fabric prior to rinsing. Use the same cleaner on the awning hardware in washing the RV. Spread the awning open, take a medium to hard-bristled brush to get rid of all the dirt, dust, and debris. If you want another way, you can opt for a shop vacuum to remove all forms of dirt. Mix one part hydrogen peroxide with 3/4 warm water. Allot 15 minutes so that the spray will have time to dry up. If you do not see any change in color, start spraying on areas that have mold so that hydrogen peroxide is applied on all of them. If you notice that there is already a change in color, do not opt for this method. Let the hydrogen peroxide to work on the mold which should take 15 minutes. 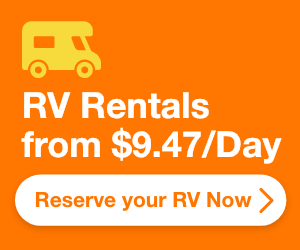 Inspect the RV’s awning for any wear and tear. You can consult your RV dealer regarding the materials that you can use in repairing or patching up the awning fabric. While you are doing the inspection, check the hardware as well. The bottom brackets of the awning normally support the majority of the load from the awning. Look at the lag screws found in the brackets for better mounting. You can check the arm and pivot holes if there are any big holes or rivets on the handles. Check if there is warping on the roller tube. If this is the case, you will see it right away while rolling out the awning. Check the end caps of the awning for a more secure mounting, and rivets that are broken or loose. Make sure that the awning rail is well-mounted to the RV’s side. You should never try to take out the end caps of the awnings and spring tension could lead to injury. You should have all of the damaged or broken parts repaired prior to using the awning. You should never store the RV awning while it is still wet. Always allot enough time for the awning’s fabric to completely dry up before you store the awning. If it is still wet when you store it, this could lead to molds in the RV awning. After you use RV the awning, fold it up and store it because heavy rains and strong winds will cause damage to it. These are the most important tips you will ever find on how to keep your RV awning clean and damage-free. Always store it in a proper place if you are not going to use it for a while.